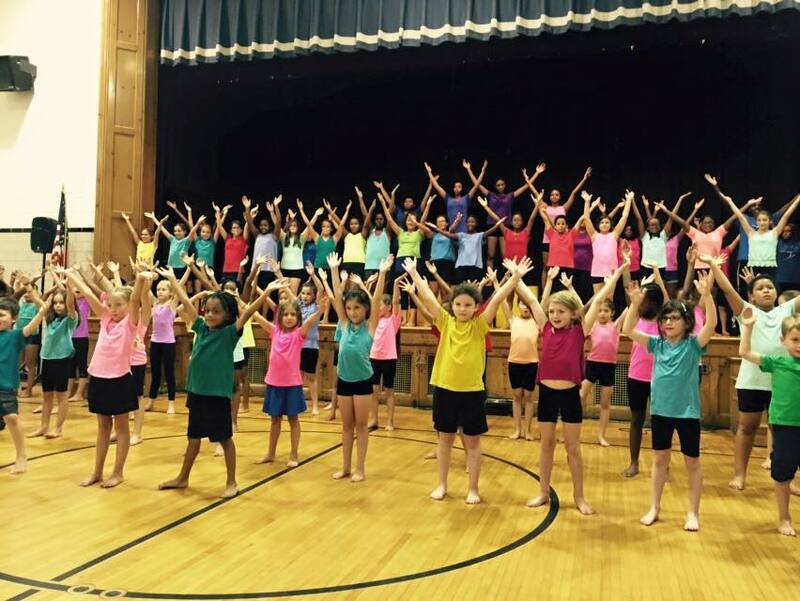 East Orange Elementary Schools - SMAPA provides interdisciplinary instruction in dance throughout the school year to all third graders in all ten elementary schools in East Orange, NJ. This artists in residence model has been supported by the Geraldine R. Dodge Foundation. 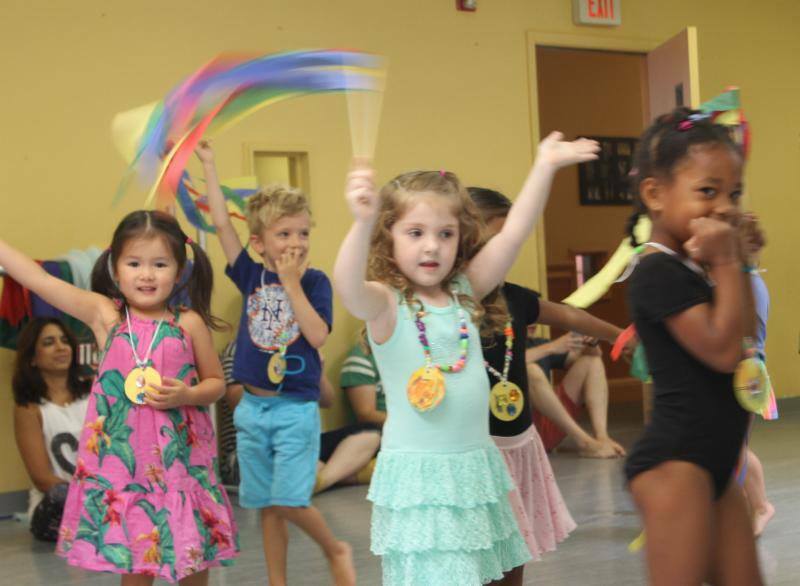 Quitman Street Community School, Newark, NJ - SMAPA provides a full K-5 dance program inclusive of creative movement for Kindergartners and 1st graders, Tap for 2nd and 3rd graders and cultural dance for 4th and 5th graders. This artist in residence program continues throughout the entire school year. The Children’s Institute of Verona, NJ - Inclusive programming is provided for special needs students in Yoga and Musical Theater. Children are bussed to our facility twice weekly throughout the school year. The Craig School - The Craig School is an independent school that specializes in working with students with learning disabilities. They are a family of parents, educators, and students brought together by purpose. They are a school built upon the foundation that all students can and will learn if the right environments, strategies, and supports are made available to them. PWE - The Performance Workshop Ensemble (PWE) is made up of 10–15 gifted and talented young dancers between the ages of 12 and 20 from Sharron Miller's Academy for the Performing Arts (SMAPA). In return for full tuition scholarships, PWE members give to the community through arts in education concerts. JPWE - The Junior Performance Workshop Ensemble (JPWE) was created in 2012 to give younger aspiring dancers the opportunity to gain performance experience. Participation in the program is free of charge but requires a full year’s commitment. Students must be invited into the program based on ability. It is not considered a scholarship program, although many of the students who participate may receive tuition assistance through our general scholarship fund or are recipients of the Joyce Copeland Scholarship, given annually to a gifted youngster between the ages of 10 and 12. All members are students at SMAPA who benefit from the training received in both modern and ballet techniques. In many cases it is a stepping stone into our senior company The Performance Workshop Ensemble (PWE). Prime Time Summer Arts - A full day summer program for children ages 6–14 with daily classes in art, music, dance and drama. Each of the three 2 week sessions culminates in a fully staged, free public performance for family and friends. Prime Time Summer Arts is a joint collaboration in association with the Montclair Department of Recreation & Cultural Affairs. Preschool Prime Time Summer Arts - A half-day weekly theme-based program for children ages 3–5. Classes include dance daily with two art classes, two drama classes and one music class weekly. Senior Exercise Program - Twice weekly SMAPA provides a year-round fitness program specifically designed for seniors. This program is conducted in the SMAPA studios in association with the Montclair Department of Recreation and Cultural Affairs. Free Boys Ballet - SMAPA offers two free boys only ballet classes every Saturday. This program is made possible in part by a grant from the Stone Foundation. The program is offered in two semesters of 16 weeks each and a summer course of 7 weeks. Students are expected to be consistent in the attendance. The first class is for boys ages 6-8 and the second class is for older boys 9 & up. Students are required to wear the proper shoes and wear the proper attire. No previous training is required. A one-time only registration fee of $25 is required. The General Scholarship / Joyce Copeland Scholarship / Mildred Spain Scholarship / The Gonsalves Family Scholarship / Ella Bandes Alumni Scholarship - Students who demonstrate interest and ability and where financial support would be beneficial. Copeland for a student between the ages of 10 and 12‎; Spain for a student between 6 and 10; Gonsalves for a student between 10 and 12 with interest and ability in Modern and Ballet; Ella Bandes represented all that is kind, generous and passionate about dance. Her scholarship is given to a teen who embodies those qualities. The general scholarship provides tuition assistance based on financial need for all students in the preschool, junior and prep divisions.